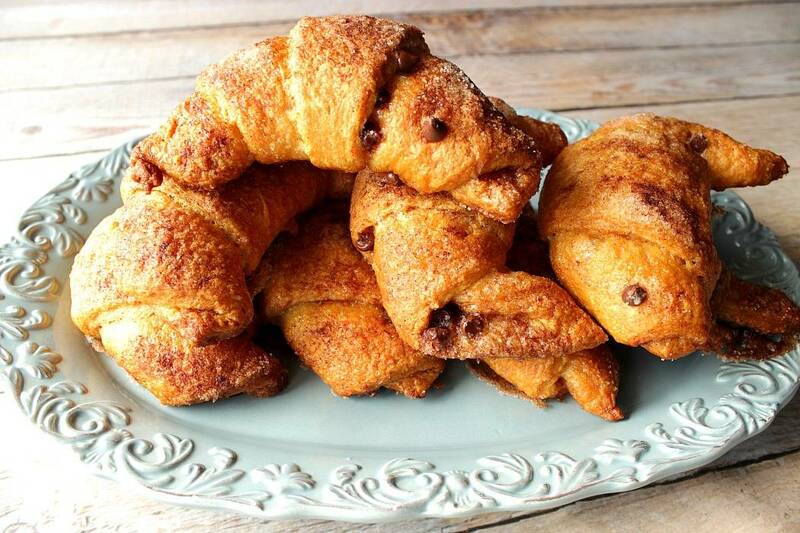 These Super Simple Chocolate Cinnamon Croissants are a speedy weekend breakfast treat that the entire family is sure to love. 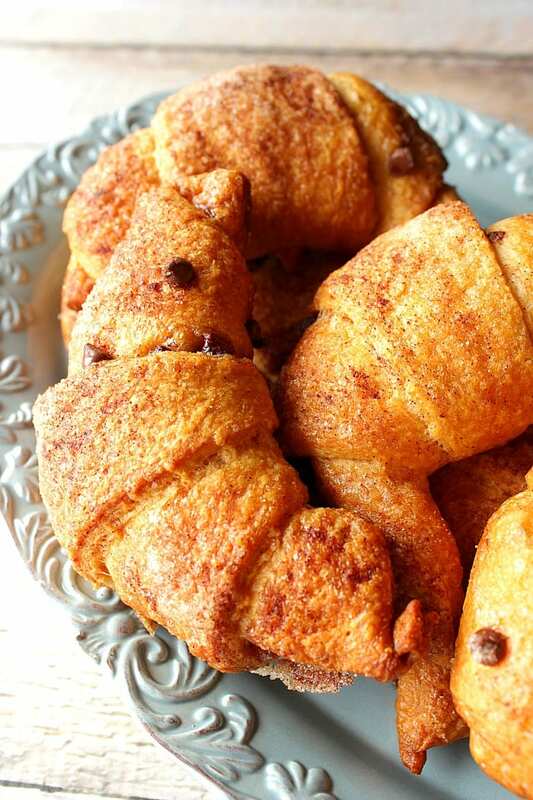 Since these chocolate cinnamon croissants take advantage of the canned, refrigerated, crescent rolls this is the perfect recipe for the kids to help you make, or even make all by themselves (depending on their age of course). After all, what kid (or adult for that matter) doesn’t like sprinkling cinnamon sugar and chocolate chips on things? Pop open a can of store-bought refrigerated crescent rolls (I used the Grand’s size, but you can use smaller) and lay they out on a parchment lined baking sheet. 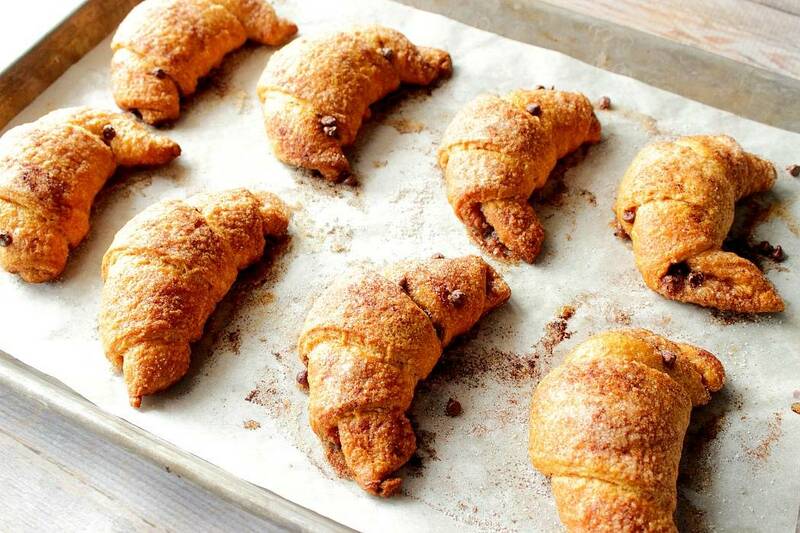 Brush each triangle of dough with melted butter and sprinkle each liberally with cinnamon, sugar, and chocolate chips. Starting at the widest end, roll the dough and form into a crescent shape. Brush the top of each roll with additional melted butter and a final sprinkling of cinnamon and sugar. Bake the croissants in a preheated 350 degree oven for 25-30 minutes. Serve and enjoy. 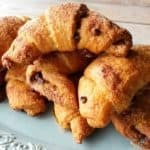 These Super Simple Chocolate Cinnamon Croissants are an easy and quick weekend breakfast treat that the entire family is sure to love. Pop open the can of rolls and lay each triangle out on a parchment lined baking sheet. Brush each triangle with melted butter. Sprinkle each triangle with cinnamon and sugar. Sprinkle each triangle with chocolate chips. Starting at the widest end, roll each triangle and form into a crescent shape. Brush the top of each roll with additional melted butter and the remaining cinnamon and sugar. 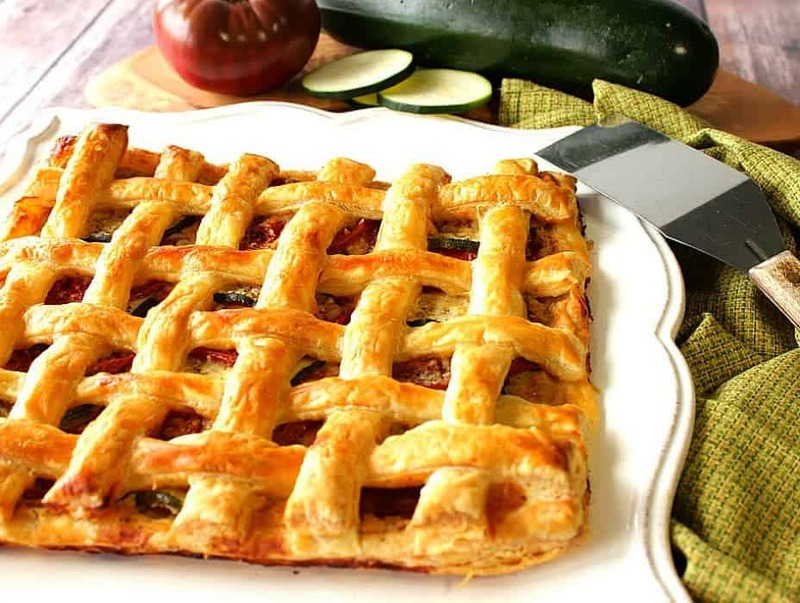 Bake in a preheated oven for 25-30 minutes or until puffed and golden. All of my hand painted aprons are completely machine washable and dryable (no fabric softener, please). The aprons I paint on are a 65/35 cotton- poly blend and are treated with stain release for easy clean up. Each apron has an adjustable neck strap, extra long ties, and two large front pockets.You have my word that every item I ship (fabrics and glassware) is painted to order and unique. If there is ever anything I can paint for you, please contact me: info@kudoskitchenbyrenee.com or visit one of my shops: Etsy and Wazala. Custom orders are always welcome and I will paint and design from any photo, idea or description you send my way. These croissants are beautiful. I love the texture and crunch of the cinnamon sugar topping. 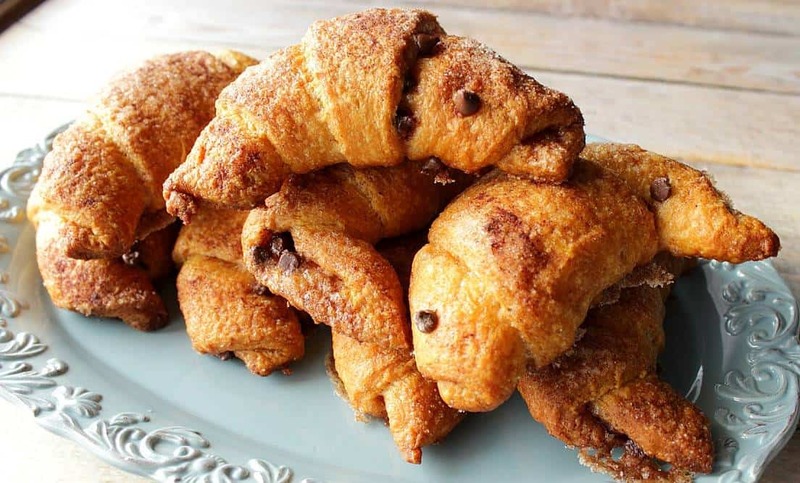 My son LOVES those chocolate stuffed croissants from Panera, so I know he would love these! 🙂 His birthday is next week, so I will have to make these for him. My family would go nuts over this deliciousness! Chocolate croissants are always something I reach for at hotel breakfast buffets, these look and sound waaaay better, yummy!! Oh, man. I miss Grands! And canned biscuits / rolls in general. I love what all you can make with them – like these amazing croissants! These look like coffee’s best friend. 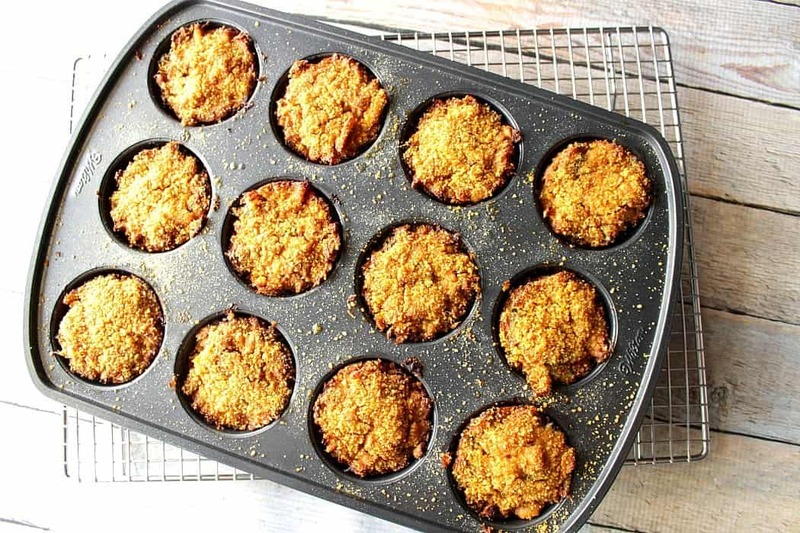 I often make something similar for breakfast sans chocolate…why??? I want chocolate!! Thanks to you…I will soon get it! Thanks, Nikki! You can’t beat them for quick and delicious.